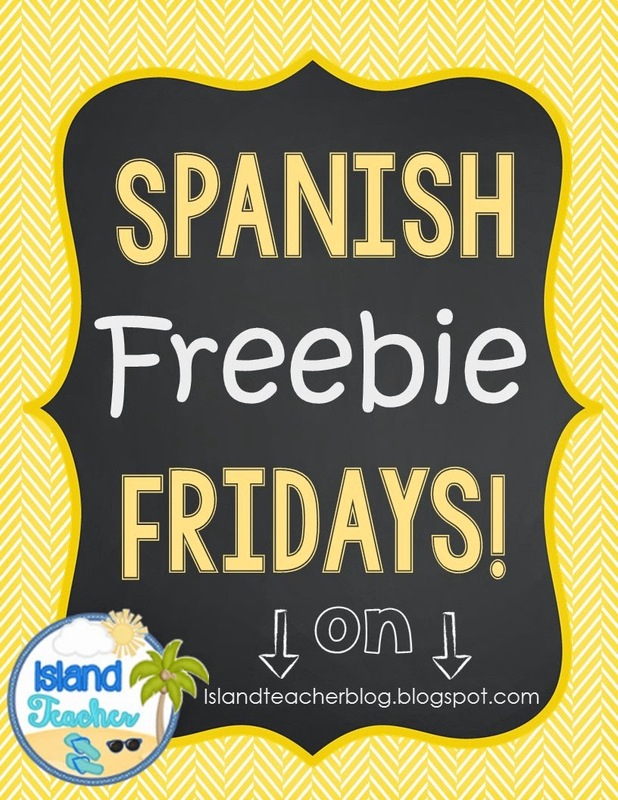 Spanish Freebie Friday: 2 Interactive Resources! ¡Hola! Thanks for checking out Spanish Freebie Friday. I hope you'll stop by on Fridays to check out a new FREE resource that you may find useful in your classroom. I've dropped the ball on Spanish Freebie Fridays lately...there are some big changes going on for me (a whole other blog post for another day, ha!). I hope to continue the quest to cover a wide range of resources as I attempt to post a new freebie each Friday this year. I love discovering new, helpful, fun resources and I'll be sharing them with you! Additionally, from time to time I'll offer a Friday FLASH Freebie where I'll list an item in my store for FREE for a very limited time. You'll want to follow me on Facebook to stay up to date on any FLASH Freebies! You can follow my blog via email (sign up on the side bar) OR Bloglovin to remember to check back on Fridays. This week's freebie is only available until Sunday 4/26/15, as I'm celebrating reaching 500 followers in my TpT store! I've decide to make 2 of my products free. 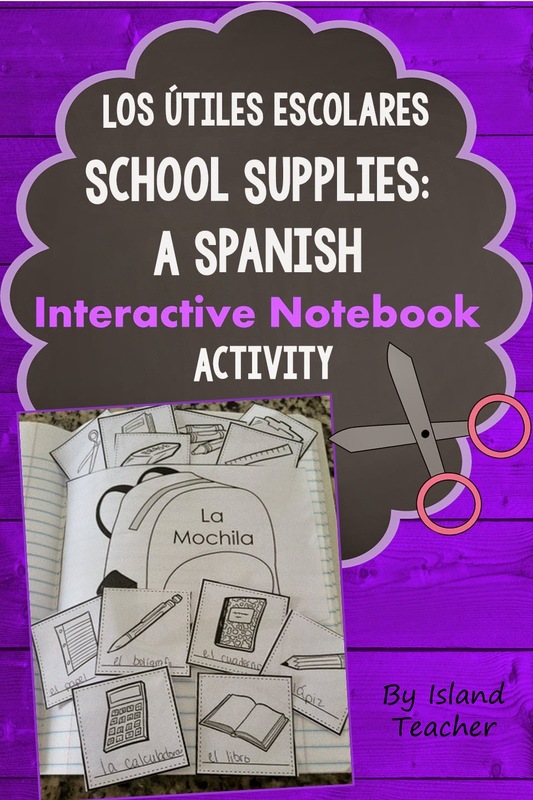 The first is a Spanish interactive notebook activity used to practice school supplies. I blogged about this activity HERE. 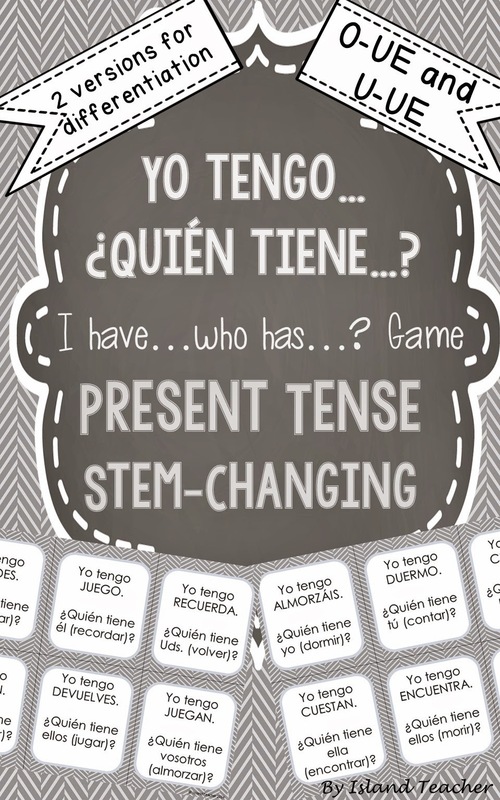 The second is a whole class, interactive Yo tengo...¿Quién tiene? Game. My students love playing different versions of this game and it can engage the whole class at the same time, which is really great. Do you know of a freebie that you would like for me to consider sharing this year in Spanish Freebie Fridays? Feel free to send me a message! Have a fabulous weekend! Gracias, Emilie. Usaré estos actividades con mis clases. Mis estudiantes se divertirán mucho. Hooray for Spring BREAK...and a SALE!